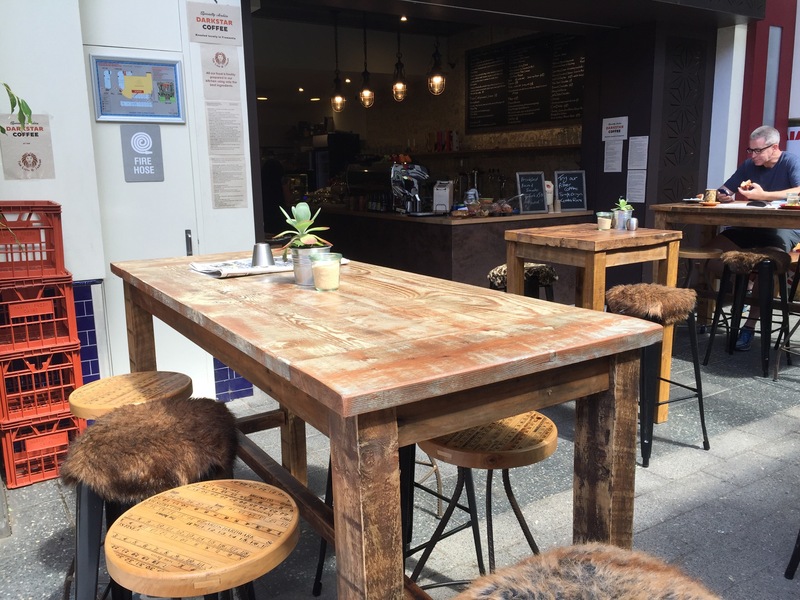 In Subiaco Square you’ll find the cafe that the whole jungle has been talking about. 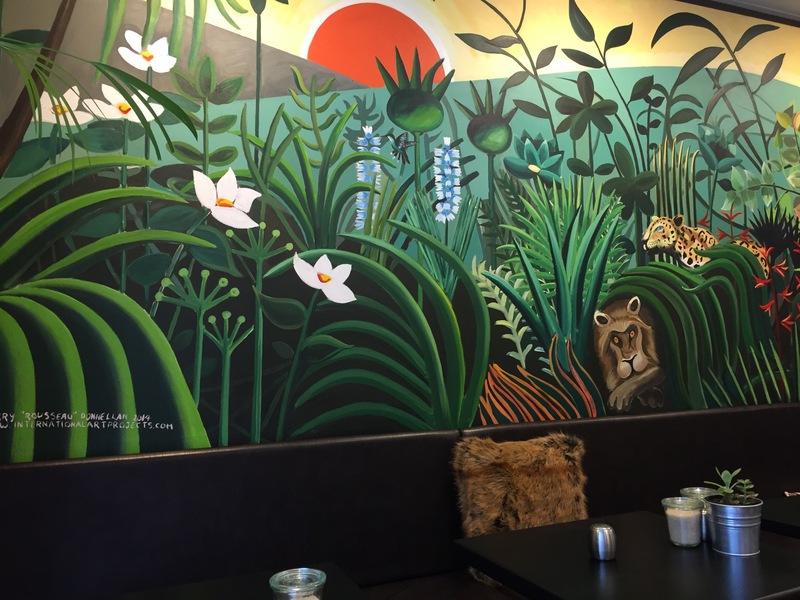 The decor is an overload of leopard print and green fronds, furry seats and wood as far as the eye can see. There’s a giant mural inside dominating the wall opposite the counter. We grabbed a menu and placed our order at the counter. The menu is different from your run of the mill cafe fare and makes for some interesting breakfast choices. 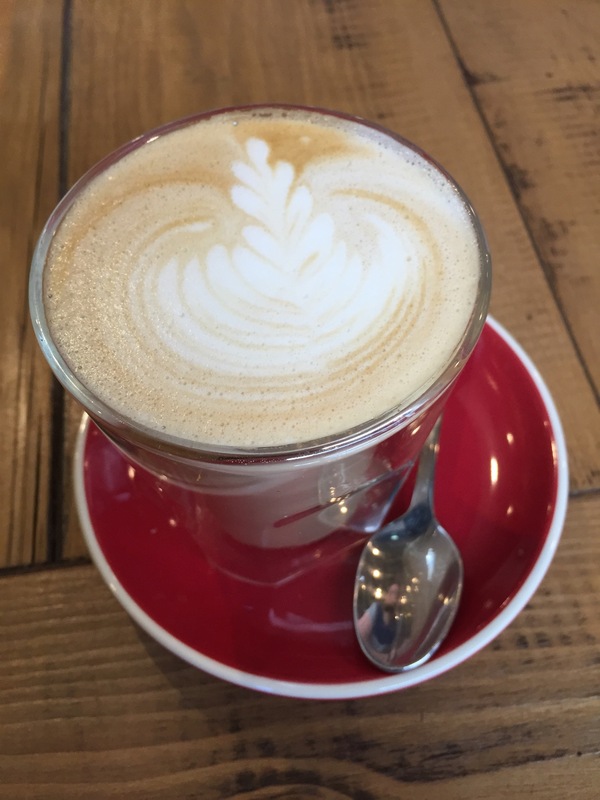 We were looking forward to coffee when we saw it was roasted with Dark Star in Fremantle, but were ultimately disappointed. It didn’t have that much flavour and was borderline burnt, it really didn’t satisfy. 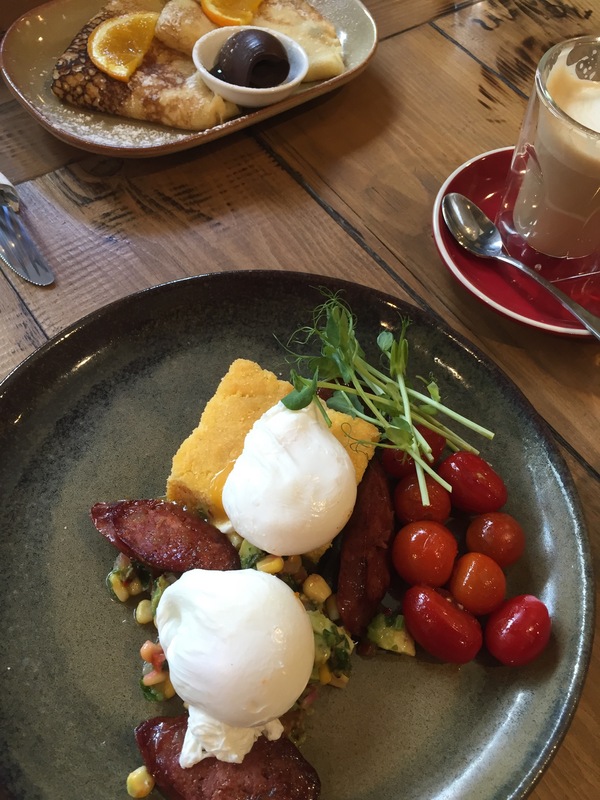 The first dish we tried was the Hot Gonzales, cornbread served with salsa and balsamic whole roasted cherry tomato, poached eggs and chorizo. It was a really interesting dish flavour-wise but there were a few things that needed work. The corn bread was a little dry and could have been moister. We found the tomatoes hard to eat whole and it would have been better were they halved or served in the salsa. With a little more work this would be a fantastic dish. 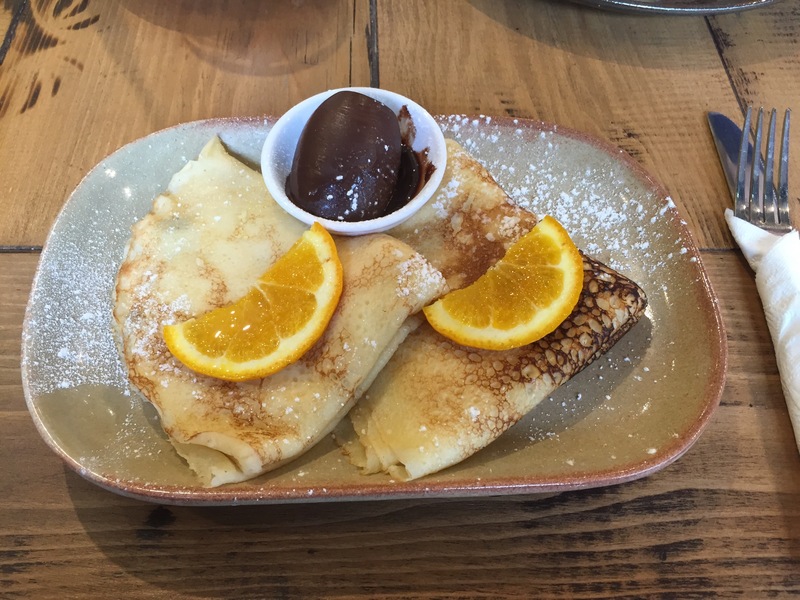 We also tried the Palachinki, crepes with a cinnamon ricotta, sherry soaked raisins, orange and chocolate. There was a good balance between the crepe and the filling, the ricotta was hot and creamy and the burst of raisin. The chocolate was rich and satisfying but the orange really didn’t add anything, there wasn’t enough and the chocolate was too strong. This was a very satisfying dish, the flavours worked and the crepes were perfectly thin. This was an interesting and different breakfast option. 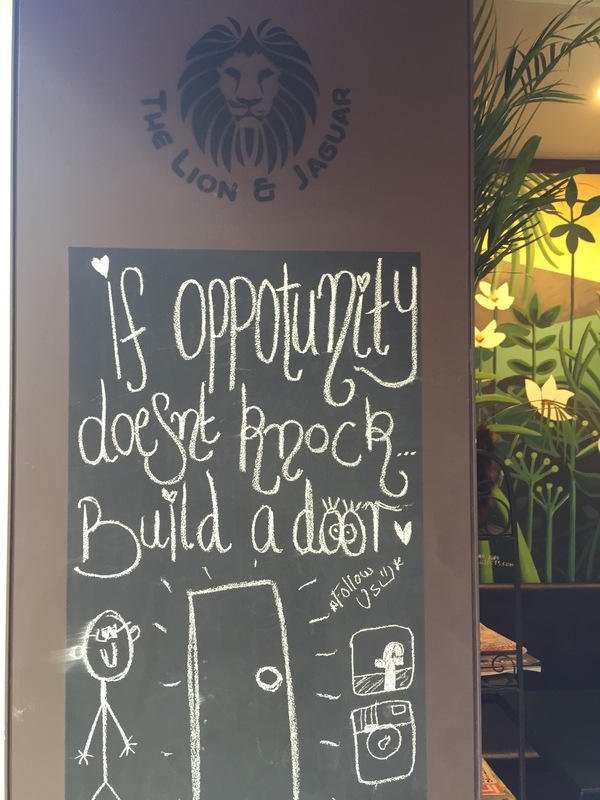 The Lion and the Jaguar is something different for a breakfast in Subiaco, it’s not fancy and the decor is a little over the top, but there’s a certain charm to it to that we enjoyed.